10 - the anime is perfect. It is definitely worth rewatching, and it greatly impressed me the first time I saw it. 9 - the anime impressed me, it was almost perfect, but something was missing for it to be given a 10. Might rewatch. 8 - the anime was good. It didn't impress me too much, but was still worth watching. Most likely won't rewatch. 7 - the anime was average - at some point it annoyed me, but mostly it was a good watch. Rewatching this is very unlikely. 6 - the anime was disappointing. There were some enjoyable parts, but mostly the anime was boring/annoying. 1-5 - the anime was bad. The 5 point scale gives me the chance to rank the animes that I hated/didn't like. As you can see, instead of taking 5 as the average rating, I use 7 - just like the average user rating. If an anime is below 7.00, it is bad, if it's above 8.00 it might be good. hi there~! I found you from your blog & i noticed we share a lot of similar fav stuff!! :] soo i decided to send a friend request lol! 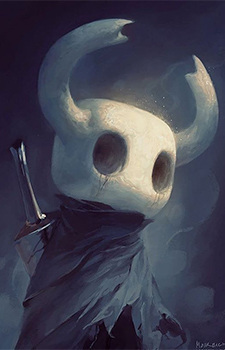 Hi Terminaato. 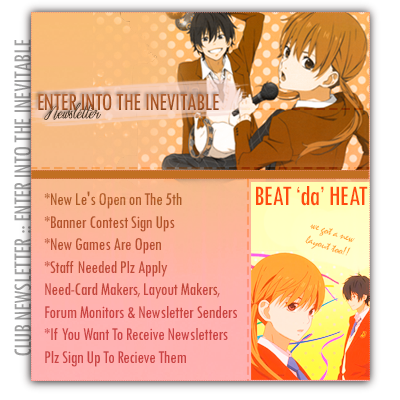 I've seen you have Angel Beats! in your favorites. Would you like to join PA Works club to celebrate the studio behind this title? This is One Divine informing you a few days late that the Art and Graphic Competitions are OVERRR! The results are in so whether you participated or not does not matter, so check out the results! 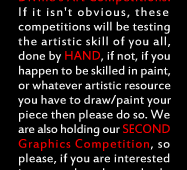 The results to the Art competition can be found here and the results to the Graphic Competition can be found here! Thanks for visiting, and remember there's plenty to do, don't forget about our games and chatango room, anyone can visit. See ya next time! 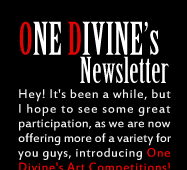 Hello there One Divine, the registrations and entries have been delivered for both the Banner Competition #2 and our very first Art Competition, so whether you participated or not, please visit here for the Art competition voting and here for the Banner Competition voting! Thank you and I hope you enjoy what you see! FUUUUU!!! Who would have thought that clicking a "Show spoiler" button could spoil the whole anime that is still airing?! T.T I wish I could unsee this. 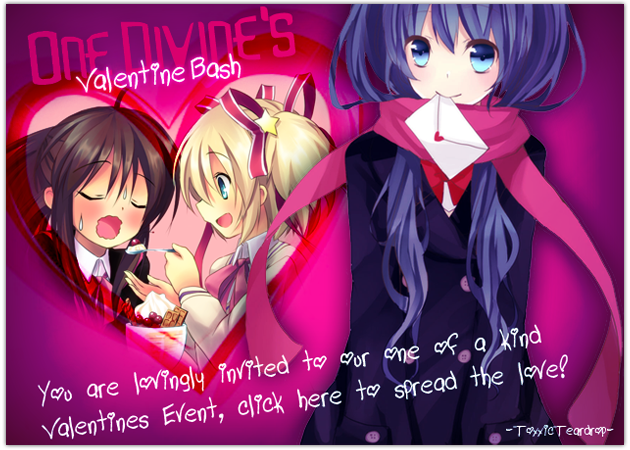 Thank you, for your second event participation, in One Divine's Valentine Bash! We hope for those who participated, enjoyed it to it's full extent, but unfortunately, yet again, some users did not receive gifts because of the some who did not feel like taking 5-10 minutes out of their life to actually do what they signed up. No animosity here, just pointing out something ♥ Now with that over, we will head on to new and different things. For now, we introduce a new game brought out by one of our members; JustRad. Name a Flaw, the details to this game will be seen here! I would also like to announce that we will soon be holding something brought back from the dead, though should be one of the most enjoyable of all activities in One Divine; One Divine's Art Competitions will soon be held in the club, and we would love to witness the artistic abilities of you all! 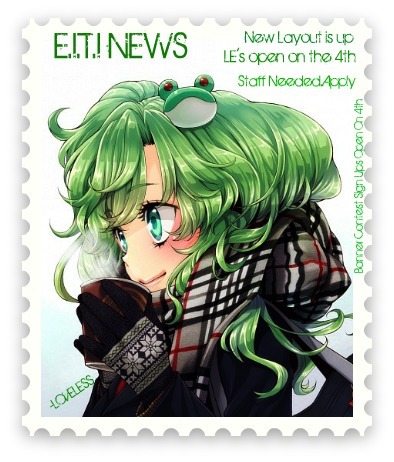 So when the time comes, please check out the details and participate for a chance to have your work displayed and a nice award banner to boot!